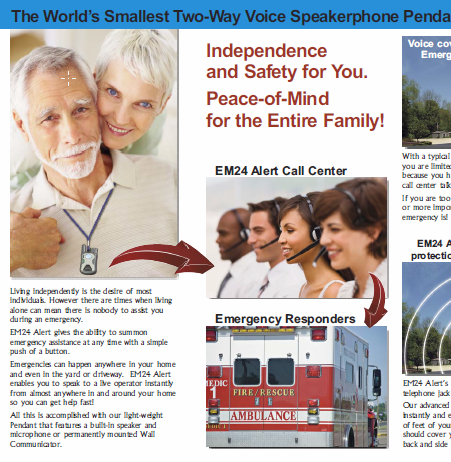 Learn more about the EM24 Alert Medical Alarm System by completing the no-obligation form below. We will send you a free brochure that explains the system, process and tells more about our company. We will protect your email. EM24 Alert service will be for?